Company Overview - Shenzhen Boyang Packing Co., Ltd.
10YRSShenzhen Boyang Packing Co., Ltd.
Boyang Packing locates in Shenzhen, China, which specializes in providing the integration of professional design, manufacture and service for famous jewelry customers from 2004.Our product mainly includes 3 series:1. Jewelry set packing: Jewelry pouch, box, business card, instructions paper, cleaning cloth, jewelry paper shopping bag, tissue paper etc. 2. Jewelry Pouch: Cotton pouch, Velvet pouch, Microfiber pouch, Satin pouch etc.3. Jewelry Box( paper box and plastic box): Ring box, bracelets box, pendant box, necklace box etc.The head office locates in Longhua, Shenzhen, China, covering an area of 9800square meters. 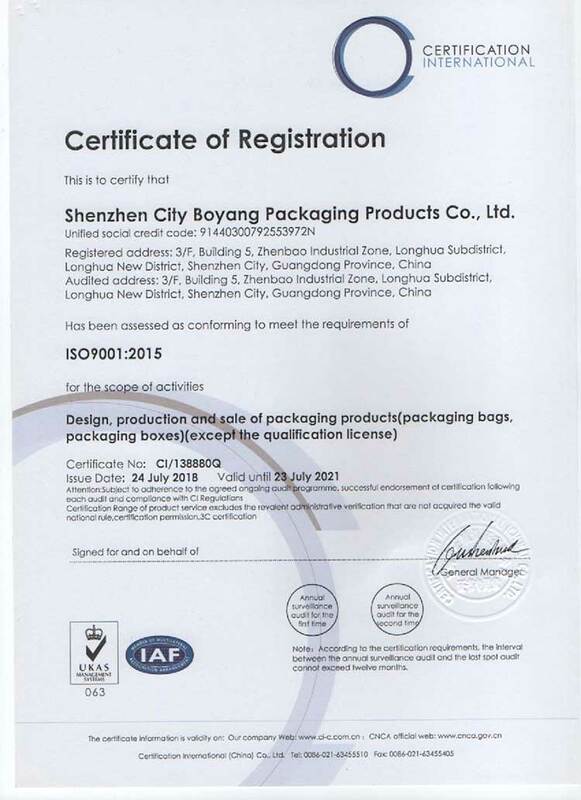 Excep our design team and pouch factory here, we have other 2 branch factories-Boyang plastic factory in Changan,Dongguan, Boyang paper factory in Guanlan, Shenzhen. Through decades effort and development, Boyang has formed a group of institutions, and has own unified management system.Total 426 employees:R&D team: 16Management team: 24Sales & service team: 12Quality inspection team: 36More than 300 workersMachines:New full color printing machine:4 setsFull-automatic paper box making machine: 1 setSemi-automatic paper box making machine: 1 setFull-automatic film lamination machine: 2 setsSilk screen, UV and hot stamping machine: 12 setsInjection molding machine: 4 setsCutting machine: 2 setssewing machine: 26 setsCapacity:jewelry pouch: 22,000pcs /dayplastic jewelry box 18,000pcs /daypaper box: 15,000PCS/day Delivery: 99.3% delivery on time. 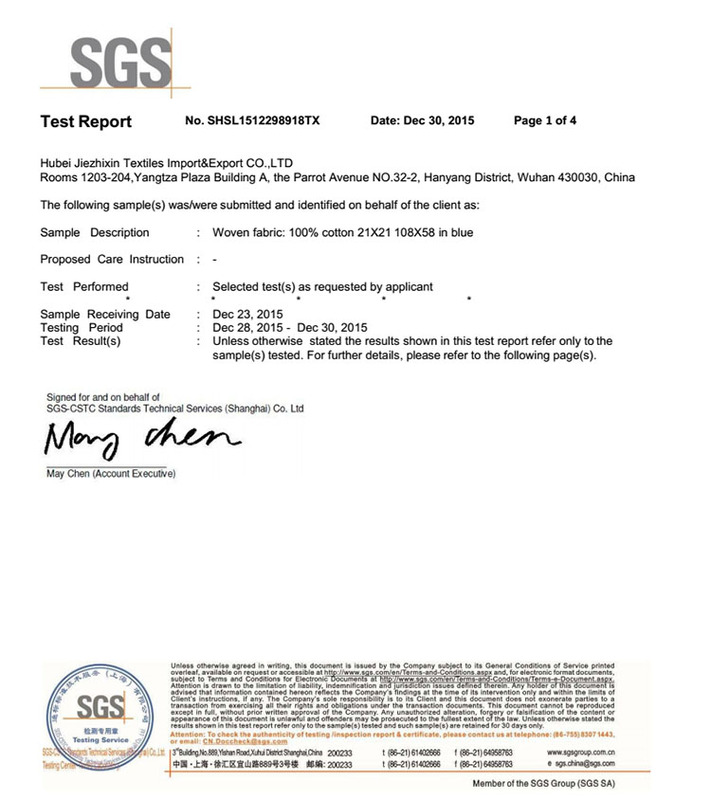 We have passed the ISO9001. In order to ensure the consistency for customer satisfaction and product quality, we are the first one to do the 100% inspection before delivery in the jewelry packing field. All products must be QC through 10-12 processes, and 3 processes are 100% full inspection. So that the pass rate of our quality is 100%. Except providing the professional design to help customers improving their packing design, our R&D and design team will recommend some new design scheme for the idea products each season to fulfill customer's request on the cost, style, fashion, workmanship etc. Area B, 3/F, Bldg. E, Zhenbao Industrial Zone, South Heping Road, Longhua Street, Baoan Dist.